There is no one quick trick to care for all types of hair. In this article hair types and their corresponding hair care tips are explained. Organic cosmetics are beneficial because they are mind on the hair and scalp. 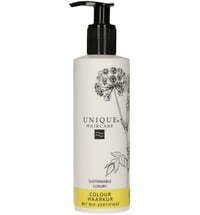 Surfactants derived from renewable raw materials are gentle, while high-quality plant extracts, essential oils and plant fats care for the scalp and hair. Daily cleansing and maintenance are possible using organic cosmetics since they are free from aggressive agents such as synthetic preservatives, dyes and fragrances. Hair that is longer in length and/or is chemically treated often suffers from dryness and has a brittle structure. Split ends and hair breakage occur on a regular basis. Avoid the use of heat as much as possible and opt for air-drying instead. Also, stay clear of chemical treatments such as chemical hair dyes and bleaches, as well as perms. Intensive care is required when one suffers from a dry and flaky scalp. Natural yoghurt treatments or hair masks that contain argan oil are best suited in combating this problem. In both cases, the flakes are freed from the scalp. The best results are obtained when the treatment is massaged into the scalp and the hair wrapped in a towel for approximately 30 minutes. Simply rinse the hair with clear water thereafter. It is important not to rinse the hair with water that is too hot or expose it to hot air from the hairdryer. Rose water can help protect the skin from dryness especially during winter when rooms are often heated. Proper care and selection of suitable products are required when dealing with fine and thin hair types. It is best to use natural brushes. For increased volume, try using hair rollers or curlers. Carefully wrap sections of the hair around the hair curler and leave to dry completely. It is imperative to follow a healthy and balanced diet. This will be beneficial for hair and body. Ensure that the body is receiving the right nutrients such as protein, iron, zinc, vitamin B and vitamin H.
Pigments are lost during cleansing because the hair cuticle swells, and shampoo is able to penetrate the hair fibre. Colour protecting products are therefore required since they prevent the cuticle from swelling too much. These products protect the hair and, when rinsed using cold water, retain shine. A sensitive and itchy scalp requires soothing. 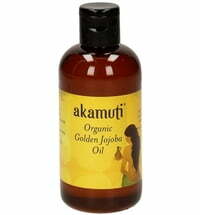 Organic oils are ideal in this regard and can be used as a hair treatment. It achieves great results, these treatments should be done one a week and left to activate overnight. Wrap a towel around the pillow to protect the sheets. Rinse the hair the following morning with clear water.